Beg, borrow, steal, buy, fabricate or otherwise obtain a rubber duck (bathtub variety). 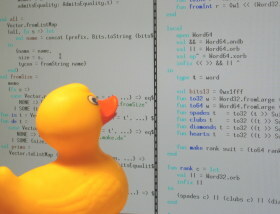 Place rubber duck on desk and inform it you are just going to go over some code with it, if that’s all right. 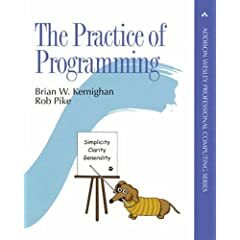 Explain to the duck what you code is supposed to do, and then go into detail and explain things line by line. One university computer center kept a teddy bear near the help desk. Students with mysterious bugs were required to explain them to the bear before they could speak to a human counsellor. You should definitely get these books if you’re interested in reading about insights similar to the rubber duck. 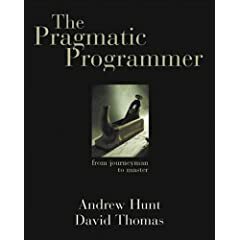 These books are full of great stuff, but especially The Pragmatic Programmer does an awesome job of explaining things such as the broken window theory, defensive programming, and the DRY principle.